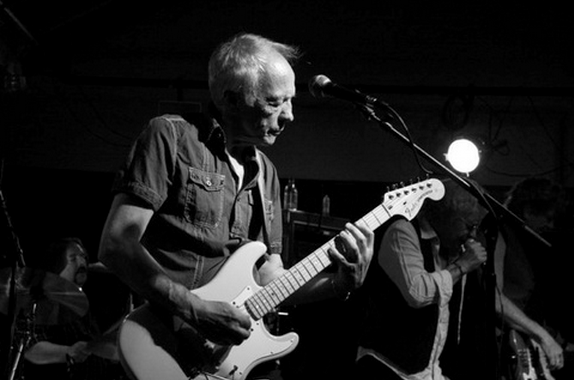 Legendary solo artist and Procol Harum guitarist Robin Trower helped define an era of guitar-riff rock with the first four notes of 1974’s “Bridge of Sighs.” Trower has garnered the same esteem and prestige as the great players of the time: Page, Townsend, May, Beck and the lot. He’s been a Fender Stratocaster endorsee ever since Jethro Tull’s Martin Barre let him try one before a gig in the early Seventies, and now has his own signature model – an honor accorded to few. On the heels of the release of Robin Trower’s latest record, ‘Something’s About to Change,’ we are thrilled to welcome him back to Annapolis, Maryland – his first time back since 2006! Doors 7:00 PM / Show 8:00 p.m.
Trower’s website, TrowerPower is here. ← A short(s) course in marketing.